Now in it’s sixth year, Apps World is a leading global event in the App industry attracting developers, mobile operators, mobile marketers, device manufacturers, platform owners and industry professionals. 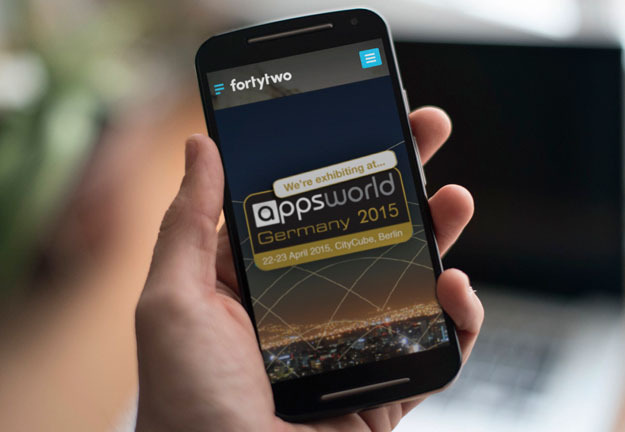 The Fortytwo team is excited to be part of the event this year and to contribute to the success of the App industry. It will be an interesting two days in Berlin and we’re looking forward to meeting you there! If you’d like to meet with us, send us an email and we’ll get back to you with available time slots.